Can anyone give any information about this photo and put any more names to it. Photo courtesy of Janet Jackson (nee Gascoigne). 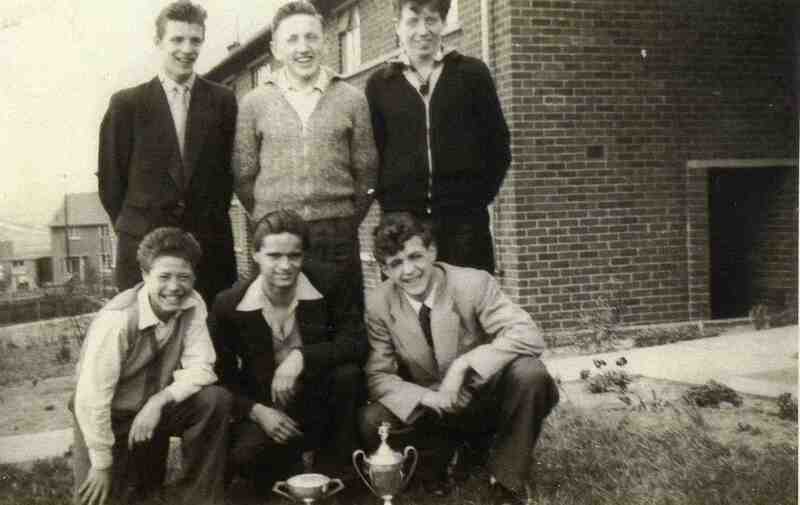 Back row Roy Jackson Roy (Sam) Batty Henry Upton.Bottom row Keith Plant Brian Fleet and Roy’s twin Geoff Jackson. And it’s taken on My Grandma Plant’s Front Garden at 1 South Crescent looking down Rotherwood Road towards Sherwood Road. Agree with Ros on Roy Batty center top & think bottom left is Alan Storey?